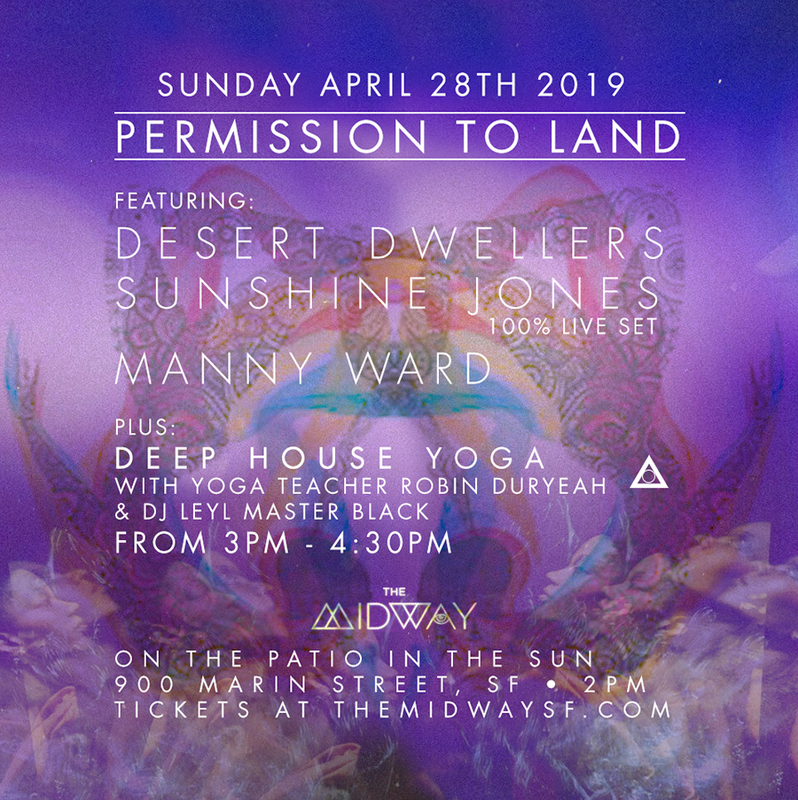 sǝuoſ ǝuıɥsunS » Sunshine Jones 100% Live Set – Permission To Land – April 28th 2019 – SF Midway! Sunshine Jones 100% Live Set – Permission To Land – April 28th 2019 – SF Midway! Sunday April 28th I am going down to the Midway SF’s patio to play a 100% live set in the sun.